Catamaran or monohull yacht for rent to choose? We have seen more and more Catamarans in the most popular yachting and charter destinations over the last few years. Why do they become increasingly preferred for charters? 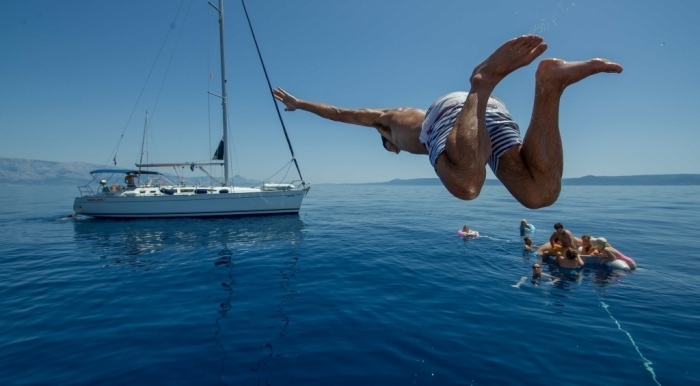 Which vessel should you choose when you are sailing with children? Is Catamaran really more stable in excitement? Is it easier to maneuver with a catamaran in a port? In this article, we will answer you briefly and clearly on all these questions. The traditional sailing yacht is a single hull - in other words, it has only one cage, built and centered around a heavy, long keel that serves as a counterbalance, prevents the yacht from deviating from its course and opposes the tilt of the waves or the force of the wind in the sails. The catamaran is double-hull that means it balances between two hulls, with sails and main rooms in the middle. It's so simple and genius. 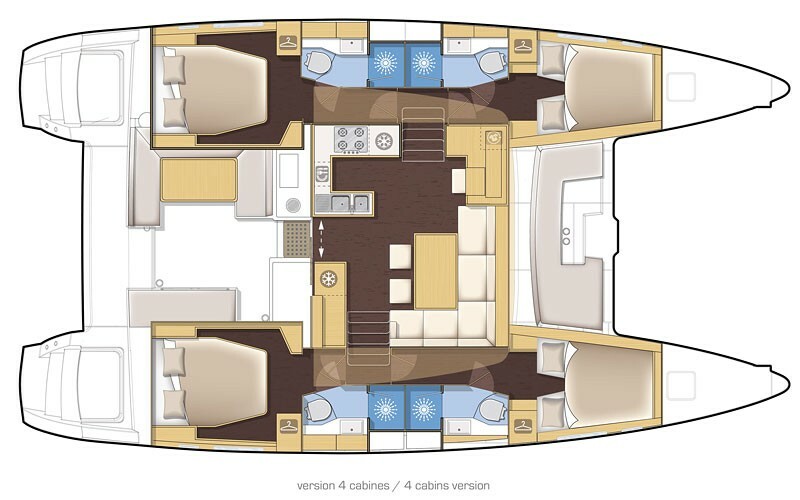 Depending on the size of the Catamaran and the space separating between the hulls, there are the cockpit, saloon, cabins, bedrooms, bathrooms and other rooms. It is also customary to mount a net between the hulls to make it great place for relaxation and sunbathing on the principle of the hammock. Much more space than monohull yachts. All accommodations between the two hulls offer a very large space, it is approximately three or four times more. This is very important especially if you spend a lot of your time on the yacht harbors and even more if you are at anchor at sea. This is especially important when there are kids on board - they just need more space to play and have fun! In addition, the bedrooms are normal size, almost without the sloping of the beds and the walls of the single-hull yachts. This is important if you want more space for rest and relaxation. 2. 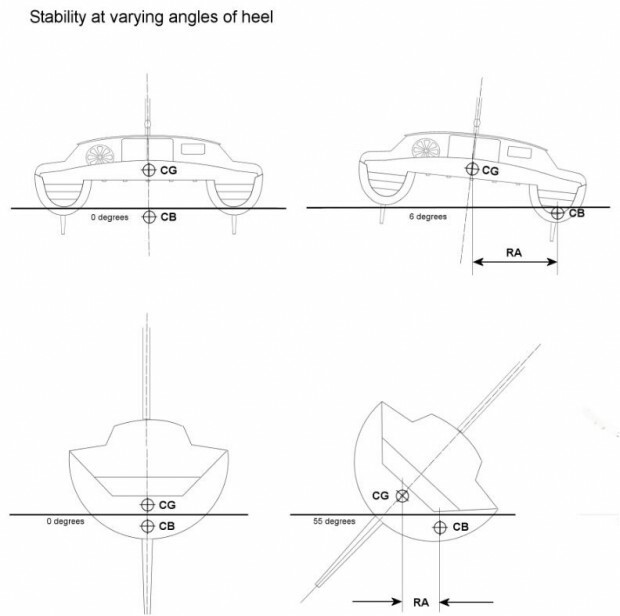 Lack of heel when you sailing on canvases. For us, one of the biggest advantages of the catamarans is the fact, that when you sailing on canvases there is almost no heel (slope), making sailing real pleasure for passengers wherever they are. In mono-hull yachts in similar conditions due to the large slope, some of the rooms can not even be used. Catamarans are built differently from single-boat yachts and have been shown to have better sea stability. The wave pressure movements are inverted and the shaking is felt more easily (see pictures). This is good news for crew members who have problems or are worried about marine sickness. For most of our customers, speed is not important but we still have to know that the lateral latitude of the Catamaran is much greater. Thanks to this, they step more steadily into the water, provide greater resistance and better absorb the wind even with less windy area of ​​the sails. They are usually lighter because they do not have a keel that actually weighs several hundred pounds. That's why the Catamans can sail faster than one-hull yachts. The lack of a keel in the Catamarans gives another great advantage. The draft level in the water is only 1.0 to 1.2 meters unlike single-boat yachts where we have to add the keel length, the draft is approximately double from 1.9 to 2.3 meters. In many of the sandy bays where the shallows are easily formed, the low draft will allow you to sail much closer to the beach and even to the step down on the sand (this option is for advanced seafarers who know the area and generally we do not recommend it but still it is possible). It's happens to be more complicated when there is a rocky bottom beneath us and the level changes sharply. Then there is also a risk of damages which is in any case borne by the tenant. The presence of two separate engines, one in each hull, each with a minimum power of 30 hp, with Catamaran you will have absolute control and guaranteed safety in every maneuver. 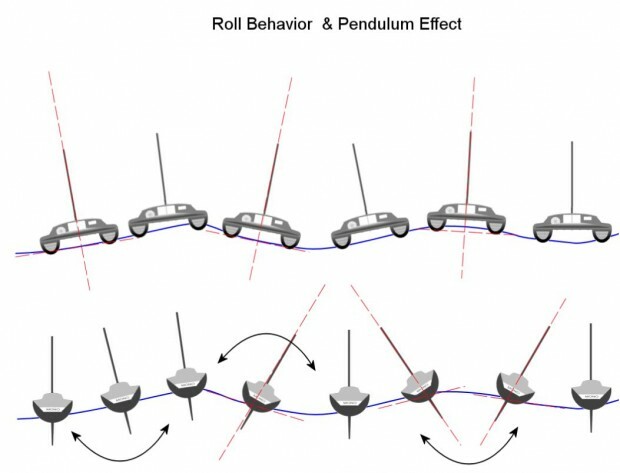 This is an important advantage especially in small, narrow yacht ports but also great driving convenience wherever you are. 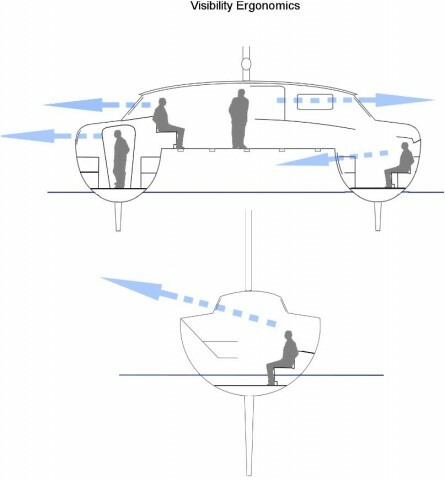 You can actually turn the entire Catamaran in his place by moving one engine forward and the other one back. In single-hull yachts for mooring (parking) in a port, the Captain also needs an assistant who is basically one of the passengers. He usually doesn't have the required skills and can cause damage or inconvenience to the whole group. The Catamaran design is built to provide better visibility to all rooms and is practically 360° from the lounge saloon (the central premise). In addition to most of the new models, the external control area is slightly higher and allows full capability of the captain when driving and maneuvering. For standard yachts such visibility will only be available from the cockpit at the back of the hull. Better visibility with the Catamarans is a very good solution especially when you visit interesting, beautiful places and undoubtedly another advantage to their benefit. For many seafarers this is not important but most yacht charterers insist greatly on that. Catamarans are treated as luxury boats that give prestige to the captain, crew, passengers and everyone on board. Undoubtedly, whenever catamarans enter a yacht port or sail nearby they attract special attention and admiration from everyone around. All of the benefits we mentioned above have a price to be paid. The rental price of Catamaran is higher than the rent of a standard sailing yacht of the same length. This price difference reaches 150%, sometimes 200% or even more. In the case of the catamarans (due to their width) most charges are higher. Captain and crew will generally cost you approximately 150% more than you will have to pay for a sailing yacht of the same length. Charges for yacht harbor boat lodges also have an idea more expensive which is also very important when planning your yacht vacation. 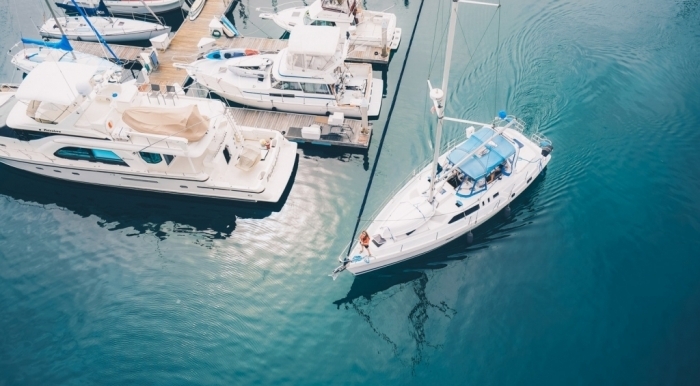 Since the Catamarans require twice as much space as yachts, it is usually difficult to find two vacant places in marinas especially in the strong season when the most popular destinations are overcrowded. So if you prefer to rent Catamaran, and if you want to make sure there is a place for you, please plan a sailing route and book boat lodges for at least a month, two in advance. Despite their higher rental and charter rates, the number of Catamarans is much smaller than sailboats and their demand is getting bigger. So if you choose to rent Catamaran, you will have to make booking much earlier than usual. They already have a lot of fans and year after year their popularity is growing and their supply is actually not so massive. The biggest demand for Catamaran is the destinations where there are small and very busy marinas. Most nights due to lack of places are spent at anchor at sea and as we have already said they are much more comfortable for this. 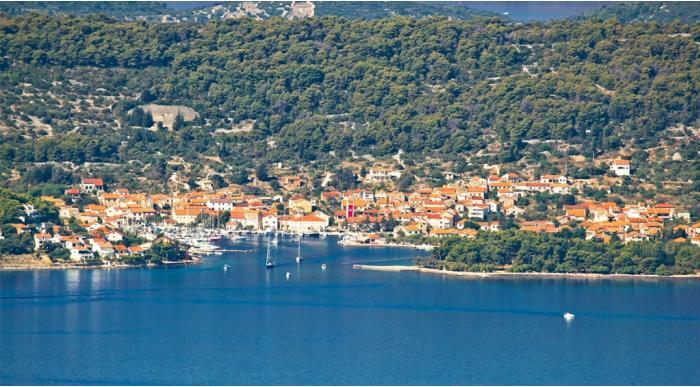 Such destinations are Croatia, Greece, Italy and the Balearic Islands. The trend is clear - more and more catamarans will be available and they will be increasingly preferred. We also know that there are many sailors who do not recognize catamarans and ardently defend traditional yachts by saying that Catamaran is not a yacht but we will tell you that whoever sailed with Catamaran never regretted his choice.